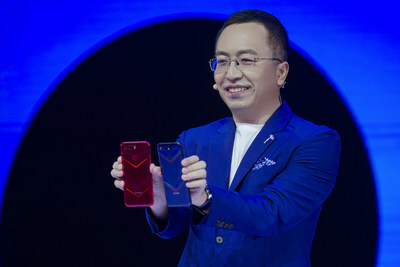 BEIJING, Dec. 26, 2018 /PRNewswire/ — HONOR, a leading smartphone e-brand, today officially launched in the China market its latest flagship phone – the HONOR View20, packed with sophisticated features consumers have come to expect from a flagship phone, with outstanding technical features and performance matched with unsurpassed design and style. 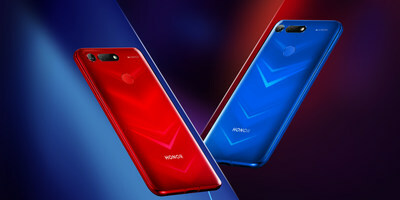 HONOR View20 will be available with the price starting from RMB 2,999. The official sale in China will start from December 28. The HONOR View20 is equipped with the world’s first rear 48MP and 3D camera system and a front-facing 25MP camera integrated into the display. This innovative All-View display design doesn’t impact the display function – instead, it allows a notch-less viewing experience, achieves a stunning 91.8% body-to-screen ratio, and enables users to take the best photos possible, all at the same time. Another rear camera is a TOF 3D camera, which makes the phone capable of creating a new dimension in photography and videography that brings greater usability and fun to users. It can calculate distance based upon the time-of-flight of a light signal, and has functions including depth sensing, skeletal tracking and real-time motion capture. The TOF 3D camera can turn HONOR View20 into a motion-controlled gaming console, and allow you to play 3D motion games like never before. In addition, it can also let 3D characters dance following your gestures on your phone, and you can share these funny dancing videos with your friends. The notched display, one of 2018’s most popular trends, was developed to satisfy the demand for a higher screen-to-body ratio. However, there are limits to what can be done with this solution. 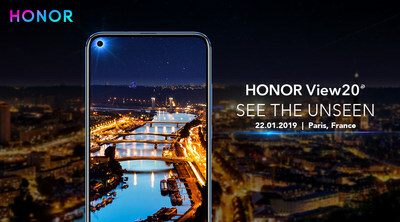 Just as we are eager to see how smartphone manufacturers are going to take the design a step further, the HONOR View20 comes on stage, sporting an extraordinary All-View display with an in-screen front camera, heralding a new era of display design. A super small hole with a diameter of only 4.5mm instead of 6.0mm is created at the top left corner to house the front-facing camera and making for a considerable increase in display area. Instead of drilling a hole that penetrates through all layers of the screen with only a glass panel covers the camera, HONOR retains a few layers by adopting an extremely complex 18-layer technology stack. This technique effectively reduces the impact on the display structure to improve durability and cuts down the interference of the light from the display to improve overall photo quality. The 18 layers of complex processes are refined, so that the display area of a new screen camera is significantly reduced, bringing users a near 100% full screen experience.